If you’re looking for a religious answer, it isn’t going to be here. 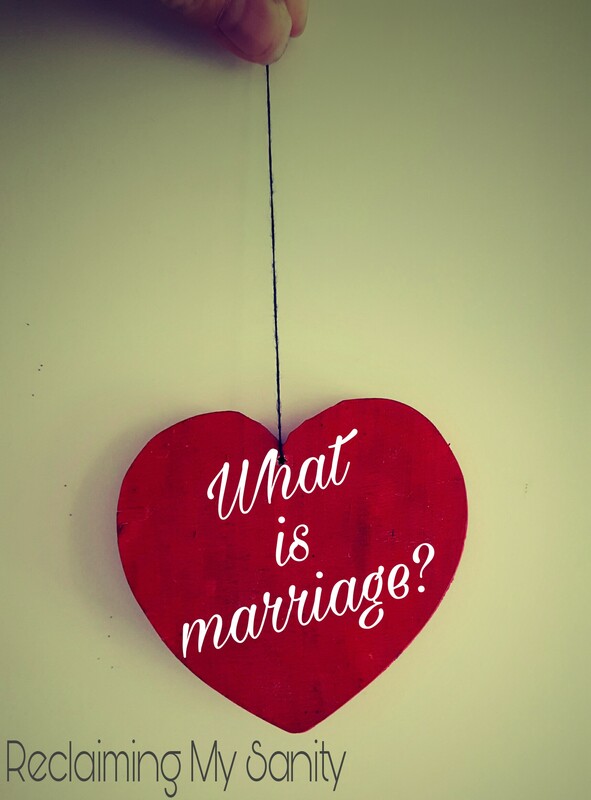 This post is just my thoughts on what a marriage is and what it means to me. Strictly speaking, marriage is “just a piece of paper,” but how does it differ from a partnership? Marriage is legally binding; your debt becomes their debt, their debt becomes your debt. Everything that was once yours is now considered both of yours (unless you have a prenup). Marriage is not some fairy tale ending of life, like what we see in movies and read about in books. Marriage takes work, commitment, loyalty, forgiveness, selfless acts, and communication. Marriage is not something that should be taken lightly, it is a serious thing, that can have serious consequences. According to the American Psychological Association 40-50% of marriages, in the United States, end in divorce and subsequent marriage divorce rates are even higher (APA Reference). The question is, what changes in marriage? I think, marriage changes when the people change. Of course, change is bound to happen. Everybody changes. As people mature, their wants and needs change. Some people, during their times of changing, do not change in sync with one another. When one person grows and the other one doesn’t, it may cause turmoil in the marriage. Marriage is about being able to grow together. Even if one person is changing at a different pace than the other, it doesn’t mean that the marriage doesn’t work. You make it work. It is about never giving up on each other because you love that person. Of course the word love is not some fantasy either. I will leave that discussion for another time, though. I have been married for over 5 years now. Things have changed. I have changed. He has changed. Our relationship has changed. Our family has changed. That doesn’t mean we love each other less. We are stronger for our differences and working through them; through compromise and communication. The newness of a marriage only lasts for so long. You get excited about changing your name, titles of husband or wife, and creating a family life together. That newness wears off and things start to become comfortable. Day in and day out, you are in your routine and eventually realize that the excitement is gone. Though, the love has not changed, your relationship has and will continue to. You may even miss the excitement of the newness. That doesn’t mean your relationship is broken. When things get tough, you talk about it. You compromise to decide what needs to change for both people to be happy. Change is not forceful. People either want to change or they don’t. Marriage is about give and take. In order for it to work (assuming you want it to), sometimes you have to make changes. I don’t take marriage lightly. I have seen the repercussions from bad relationships and bad marriages. I have seen what happens when people jump into marriage for all the wrong reasons. I knew I did not want any of that for my life. I believe I have a strong marriage. We have that because we work at it everyday. We are a team. We get through things together, no matter what those things are. We lean on each other for support and we share common ground. We both know we aren’t perfect, but we know we would never give up on each other. I believe that is what marriage is. “When one person grows and the other one doesn’t, it may cause turmoil in the marriage.” Truth. I think marriage is made up of a lot of things. Two people who love each other must show commitment and hold true to their vows. Well said! Great post! You habe a nice blog going on btw!